At the moment, the NSW Liberal Nationals government is conducting an all-out assault on this state’s festival industry. And the reason why it’s doing it, is it can’t deal with the fact that in order to stop drug-related deaths, it needs to allow people to test the contents of something that’s illegal. Instead, Berejiklian and her cronies are kicking festival organisers in the teeth, screwing up the one time in their lives that today’s youth will be able to enjoy music in this way, and they’re letting the death toll grow higher. The Psyfari festival is one of the latest casualties in the state government’s war on festivals. Organisers were set to make this year’s 10th anniversary event one to remember. But, the looming licencing scheme had the desired effect Gladys was after and Psyfari was cancelled. The new festival specific licensing scheme will be rolled out next month. And while the finer details are yet to be announced, it will involve a tough application process for event organisers, as well as steep penalties and extra costs. Just days after the Psyfari organisers made their announcement, the Mountain Sounds festival cancelled seven days prior to the event, as NSW police hit them with an unexpected $200,000 user pays policing bill. And this is not the first time NSW police have used this tactic to put an end to events. Indeed, the organisers of the Bohemian Beatfreaks festival were hit with a similar $200,000 policing bill last November, after an earlier $16,000 quote had been issued for the 3,000 person event. This quote turned up as event organisers were challenging an attempt by NSW police to shut down the festival in the NSW Land and Environment Court. And while the appeal was successful, the exorbitant policing prices sent the organisers over the border to hold the event in Queensland. Five young Australians have died after taking drugs at NSW music festivals since September. And while the community is crying out for pill testing services to be implemented, Ms Berejiklian is still calling on young people to “just say no” – a plea that has never worked. 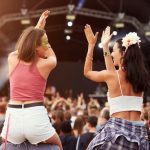 Along with the abstinence approach, NSW authorities are also intensifying law enforcement at festivals. This is despite the fact that saturation policing and the presence of hopelessly flawed drug detection dogs leads festivalgoers to neck dangerous amounts of drugs at once to avoid detection. And all the while the call to put the Liberals last in the March state election is growing stronger, as, let’s face it, it’s where they put the rest of us. 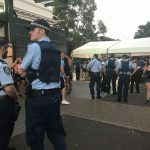 Sydney Criminal Lawyers spoke to Stevo Demian, one of the Psyfari festival organisers, about the impact the licensing scheme is set to have, how most of the festival safety measures the government is calling for already exist, and what the community is set to lose as festivals continue to disappear. Firstly, as you stated last week “the war on festivals has reached an all-time high”. On 6 February, you and the other Psyfari organisers announced it was no longer viable to hold your festival due to the incoming licensing scheme. Bluesfest director Peter Noble has since said that his festival might be moving interstate if the licensing scheme goes ahead. The details of the new scheme haven’t been fully revealed, but what are festival organisers expecting? And what sort of impact is it going to have? The biggest worry for us in terms of the licensing scheme was the uncertainty of actual requirements, combined with surprise added costs. This whole festival license comes across as a new level of authority that issues permission for events and sits above councils. We believe that councils generally have the right intentions with events and their event approval processes because they see the benefits that they bring to their areas. Councils have a reason to support events, and we don’t feel that NSW police or Liquor and Gaming NSW have the same motivation. The impacts will be huge. The extra costs could cripple some events, especially when added last minute. Currently it’s very hard to plan ahead and budget for these unknown costs, and there’s really no support from the government for smaller events to comply, which would be nice given that the guidelines have been created with larger commercial events in mind and without much involvement from people in the event industry. The Psyfari cancellation announcement states that the Berejiklian government has “shown no mercy in wiping these events out in order to make a political point”. In your understanding, why is the government attacking the festival industry now? And what’s the point they’re trying to make? There’s plenty of opinions and theories on this. One is that it looks like the government has backed themselves into a corner over issues like pill testing, drug deaths and festival safety, and they’re making a stand. Whether this stand is actually in the name of safety, or in the name of appeasing their shrinking pool of conservative voters and keeping them on side, who’s to say. Another point that you’ve made is that the government established an expert panel to investigate music festivals and basically, much of the recommendations it made in regard to safety measures are already being provided at festivals. Can you expand on this? A lot of the items listed to improve safety have been in place at events like ours for years. Free drinking water, shade, chill out spaces, even most illegal events include these things. We agree that there should be guidelines on this, and I don’t know any festival organisers who would disagree. The argument isn’t over safety, it’s mostly about the government’s attitude of opposition instead of support, and the surprise added costs. Mountain Sounds had to cancel a week prior to the event, as the NSW police hit them with an unexpected and completely overpriced policing bill. And a similar scenario sent the Bohemian Beatfreaks festival across the border to Queensland last year. What’s being said amongst those in the industry about the new police tactic of pricing these events out of the market? And further, what impact is saturation policing having on festivals? There’s a genuine worry about how this will impact ticket prices. Bohemian Beatfreaks is a perfect example. 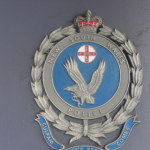 A police bill of $200,000 for 3,000 people would have worked out at $66 per ticket going straight to NSW police. Like many out there, we don’t believe that a huge police presence, along with sniffer dogs and strip searches, makes events safer. It clearly hasn’t worked so far. Not to mention how quickly an event loses its appeal when festivalgoers can look forward to an intimidating police presence accompanying them all weekend. Who’s to say how this has already impacted people’s ticket sales. I understand that some in the industry are mobilising in response to the impending licensing scheme. What’s happening with this? Not really my place to give specific details, as different groups have their own plans and timelines, nor am I an expert on politics and policy and how they plan to deal with things on that level. But, the response to how festivals are being treated has been huge. It’s really struck a nerve with a lot of people and they are justifiably upset. The music and event scene here has been struggling for years and this has united a lot of different scenes and groups to take action. The lockout laws started it all, and for many this feels like the final straw. From rallies to petitions to industry groups forming, there is a heap of activity at the moment, and it’s great to see several different political parties getting involved and standing up for music also. The Psyfari organisers ended the cancellation post with “put the Liberals last, it’s where they put you”. Do you have hopes that the festival industry will fare better under an incoming Labor government? The timing of this interview makes it a bit hard to comment with certainty, as Labor are launching their music policy this Friday. But, under a Labor government, we’d certainly have a lot more hope. They have launched initiatives in the past like “Labor Loves Live Music” and they come across as a lot more supportive than what the current government are doing. And lastly, this year was set to be Psyfari’s 10th anniversary event. You’re a veteran of the festival industry. If this war on festivals continues, what’s being lost here? The impacts of this will be significant and long lasting. From a cultural point of view, things will evolve. The idea that a set of rules will stop people partying is a fantasy, people will always find a way. Possibly the biggest twist in all of this is that this crusade to keep partygoers safe will just drive them further underground and into more dangerous situations, where events will have less safety measures in place and be further away from help should it be needed. Humans have been dancing to a beat in the great outdoors since prehistoric times – and dinosaur jokes aside – it’s unlikely that the Liberal government will actually have much impact on that. The more restrictive the festival world becomes, the more appealing it is for people to hold underground events, away from the eyes of the authorities. This entire approach is completely counterproductive. From a local music point of view, thousands of young musicians will never have the chance to perform and grow. Events like ours are like a stepping stone for local talent. Many acts start off playing indoor shows, progressing to small and medium festivals, and then go on to do bigger things. When there’s no opportunity for musicians to perform and grow, the local music scene loses out big time. The same applies for all other roles related to event management and production, with less opportunity out there. From an international music point of view, fewer events combined with added costs will reduce the appeal of larger acts from overseas touring over here. This would be felt around the country, as interstate promoters will struggle to arrange the Sydney/NSW leg of tours, which then increases their costs with less events to share this between. And from an overall economic point of view, the losses here will be tremendous. Everyone from production companies to fencing and toilet suppliers will lose work. Also, out of pocket will be the food and market stall vendors who make their living at festivals. Another big loser in the case of camping festivals will be the rural communities that will no longer have thousands of people buying fuel, food and drinks – less work for contractors and less economic activity in general. It’s really hard to find a winner in all of this. NSW Greens MLC Cate Faehrmann is holding a war on festivals crisis meeting for promoters at NSW parliament on Monday 18 February. Numbers are limited, so you can message her here if you’re interested.